As our mission statement says, our purpose is to truly serve you as we meet your needs and exceed your expectations. We are much more than just a dental practice that you and your family visit twice a year for cleanings and more often for other treatments. At Crabtree Valley Dental, we are striving to be an organization that you, our patients, can trust for years to come to provide excellent care for your whole family. In building our team at Crabtree Valley Dental, our vision is to have a business that every day is an opportunity worth pursuing. We want a business that anticipates your feelings and satisfies you beyond your expectations. Our goal is to create an exceptional team with a true servant mentality that has an attitude of gratitude, is enthusiastic, and self motivated as we perform our duties for a greater cause. Take a look at some of the ways we serve our community. We will assure our patients that their well-being and interests are our number one priority. In doing, so we will carefully review their treatment plan, as well as, our policies, procedures and pricing. You have a story that is unique and special. We honor you as an individual. All our treatment revolves around love and compassion as we build our trusting relationship. We have the utmost respect for you and are humbled that you chose us. If we fail to adhere to these values, I would love for you to contact me at drmattwirick@gmail.com or call me directly on my cell phone at (919) 264-4571. 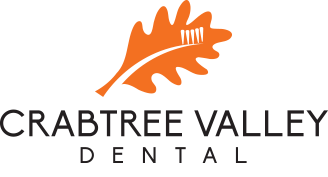 A priority for our team members at Crabtree Valley Dental is to serve others. We believe it’s not only important, but necessary to be involved in our community. Throughout the year, our team participates in various activities that enrich our neighbors and the greater community we all call home.